In accordance with General Instruction B.2. to Form 8-K, the following information shall not be deemed “filed” for purposes of Section18 of the Securities Exchange Act of 1934, as amended, nor shall it be deemed incorporated by reference in any filing under the Securities Act of 1933, as amended, except as shall be expressly set forth by specific reference in such a filing. On December 18, 2018, Navistar International Corporation (the “Company”) provided 2019 financial guidance as part of its fourth quarter 2018 financial results web cast, which incorporated 50% of the forecasted annual results from its then wholly-owned defense business, Navistar Defense, LLC (“Navistar Defense”). Management stated it would update its 2019 financial guidance following the completion of a partial sale of Navistar Defense. As previously reported on the Company’s Current Report on Form 8-K filed with the U.S. Securities and Exchange Commission on January 7, 2019, the Company completed the sale of a 70% equity interest in Navistar Defense to an affiliate of Cerberus Capital Management, L.P. on December31, 2018 (the “Navistar Defense Transaction”). The total value of the Navistar Defense Transaction was approximately $140million, after adjusting for certain current year chargeouts and subject to adjustments for working capital, transfers of certain liabilities and commitments, and other items. In connection with the closing of the Navistar Defense Transaction, Navistar, Inc., a subsidiary of the Company, also entered into an exclusive long-term agreement to supply commercial parts and chassis to Navistar Defense. The Company has updated its 2019 financial guidance to give effect to the Navistar Defense Transaction. The Company now expects: (i) 2019 revenue to range between $10.5 billion to $11.0 billion, and (ii) 2019 adjusted EBITDA to range between $825 million and $875 million. No other 2019 guidance metrics were changed. Navistar International Corporation (NYSE: NAV) is a holding company whose subsidiaries and affiliates produce International® brand commercial trucks, proprietary diesel engines, and IC Bus® brand school and commercial buses. An affiliate also provides truck and diesel engine service parts. Another affiliate offers financing services. Additional information is available at www.Navistar.com. 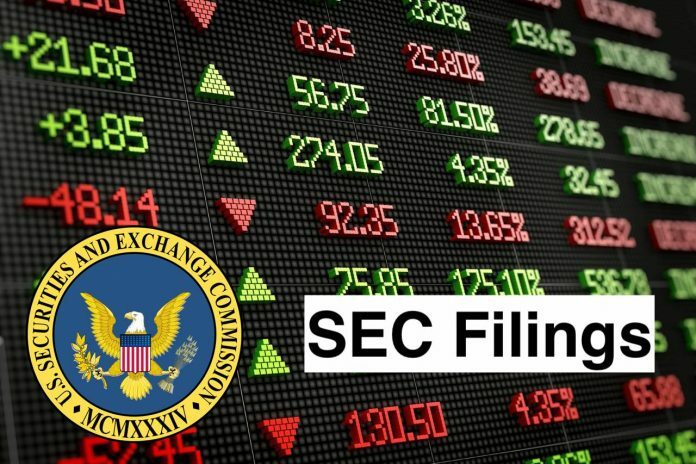 Information provided and statements contained in this report that are not purely historical are forward-looking statements within the meaning of the federal securities laws. Such forward-looking statements only speak as of the date of this report and the Company assumes no obligation to update the information included in this report. Such forward-looking statements include information concerning our possible or assumed future results of operations, including descriptions of our business strategy. These statements often include words such as believe, expect, anticipate, intend, plan, estimate, or similar expressions. These statements are not guarantees of performance or results and they involve risks, uncertainties, and assumptions. For a further description of these factors, see the risk factors set forth in our filings with the Securities and Exchange Commission, including our annual report on Form 10-K for the fiscal year ended October 31, 2018. Although we believe that these forward-looking statements are based on reasonable assumptions, there are many factors that could affect our actual financial results or results of operations and could cause actual results to differ materially from those in the forward-looking statements. All future written and oral forward-looking statements by us or persons acting on our behalf are expressly qualified in their entirety by the cautionary statements contained or referred to above. Except for our ongoing obligations to disclose material information as required by the federal securities laws, we do not have any obligations or intention to release publicly any revisions to any forward-looking statements to reflect events or circumstances in the future or to reflect the occurrence of unanticipated events. The financial measures presented herein are unaudited and not in accordance with, or an alternative for, financial measures presented in accordance with U.S. generally accepted accounting principles (“GAAP”). The non-GAAP financial information presented herein should be considered supplemental to, and not as a substitute for, or superior to, financial measures calculated in accordance with GAAP. We define EBITDA as our consolidated net income (loss) attributable to Navistar International Corporation, net of tax, plus manufacturing interest expense, income taxes, and depreciation and amortization. We believe EBITDA provides meaningful information regarding the performance of our business and therefore we use it to supplement our GAAP reporting. We believe that adjusted EBITDA, which excludes certain identified items that we do not consider to be part of our ongoing business, improves the comparability of year to year results, and is representative of our underlying performance. Management uses this information to assess and measure the performance of our operating segments. We have chosen to provide this supplemental information to investors, analysts and other interested parties to enable them to perform additional analyses of operating results, to illustrate the results of operations giving effect to the non-GAAP adjustments, andto provide an additional measure of performance. Navistar International Corporation is a holding company whose principal operating entities are Navistar, Inc. and Navistar Financial Corporation (NFC). The Company’s segments include Truck, Parts, Global Operations (collectively, Manufacturing operations) and Financial Services, which consists of NFC and its foreign finance operations (collectively, Financial Services operations). The Truck segment manufactures and distributes Class 4 through 8 trucks, buses and military vehicles under the International and IC Bus brands, along with production of engines. The Parts segment supports its brands of International commercial trucks, IC buses and engines. The Global Operations segment includes operations of its subsidiary, International Industria de Motores da America do Sul Ltda. (IIAA). The Financial Services segment provides and manages retail, wholesale and lease financing of products sold by the Truck and Parts segments and their dealers.